Dubai Airports has announced that on January 25, DXB’s Terminal 3 arrivals area will be the stage for a dazzling exclusive performance from the cast of Evita as part of the musicDXB programme. Singing ‘Don’t Cry for Me Argentina’ and ‘High Flying Adored’, the two cast leads as their characters Eva Peron and Che, will take to the stage from 1:30pm in a free performance open to all – passengers, residents and visitors. The musicDXB stage will be situated between entrances three and four of DXB Terminal 3 arrivals and easily accessible from the passenger meeting area, taxi drop off or direct from the metro. “We are really excited to be welcoming such an iconic musical to our musicDXB stage for this intimate performance. We have seen some incredible performances in the past couple of years, to the delight of our passengers in departures, but this time we made the decision to open it up to everyone to enjoy, whether travelling through DXB or not, and bring the stage to arrivals. So, if you are in the area, or want something different to do in your lunch break, I would highly recommend you come and join us,” said Helen Mellor-Mitchell, Dubai Airports vice president brand engagement and communications. 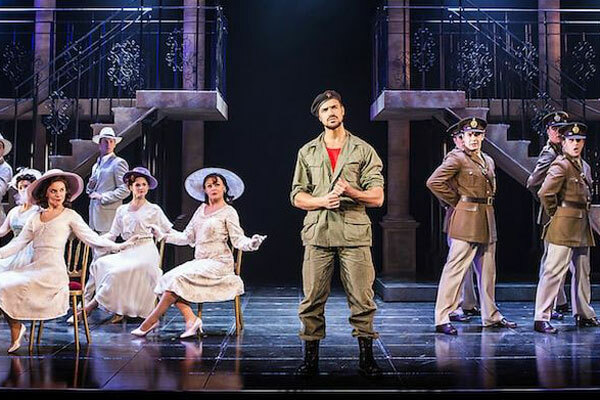 Telling the story of Eva Peron, First Lady to Argentine president Juan Peron who dedicated her life to charity, Andrew Lloyd Webber and Tim Rice’s Evita is one of the most successful West End and Broadway shows to ever grace the stage and is at the spectacular Dubai Opera from January 22 to February 3.